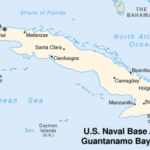 The Obama administration should be conducting talks at the highest levels, if it has not already begun, in order to correct the injustice of Guantanamo not only as a torture site but as a violation of the sovereignty of a state with whom our government finally is normalizing relations. For now, hawk talk is being toned down dramatically in response to Latin American pressure and grisly evidence of the Drug War’s failures. As for Cuba, Obama will have to move toward better relations over the fierce opposition of Cuba Lobby hard-liners, like Miami Rep. Ileana Ros-Lehtinen. By Tom Hayden. Longtime gang peace process advocates in Los Angeles announced new support for the 11-week truce called by incarcerated Mara Salvatrucha and 18th Street gang leaders, which has sharply reduced homicides in El Salvador.